Pregnant women should no longer be told not to eat raw or lightly cooked eggs, a safety committee has recommended. The risk of salmonella from UK eggs produced to Lion code or equivalent standards should be considered "very low", the Advisory Committee on the Microbiological Safety of Food said. It said this meant eggs could be served raw or lightly cooked to "vulnerable" groups like the elderly and the young. The Food Standards Agency (FSA) has begun a consultation on the issue. Its recommendation to classify certain eggs as "very low" risk only applies to UK hens' eggs produced under Lion code or equivalent standards. It also warns that safety guidelines including proper storage and eating eggs within best before dates must be followed. The FSA said it had launched an eight-week consultation in response to the report. "The consultation is inviting views on the recommended changes to the FSA's advice from a range of stakeholders, including food and hospitality industries, consumer and enforcement bodies, and health care practitioners," it said. It currently advises members of vulnerable groups against eating "raw eggs, eggs with runny yolks or any food that is uncooked or only lightly cooked and contains raw eggs" due to the risk of food poisoning. Louise Silverton, Director for Midwifery at the Royal College of Midwives, said: "We are concerned that media headlines may be confusing for women. "Whilst this latest evidence from the Advisory Committee on the Microbiological Safety of Food says that the risks are greatly reduced, the Food Standards Agency (FSA) continues to recommend that vulnerable groups including pregnant women do not eat raw or lightly cooked eggs, or any food that is uncooked or only lightly cooked and contains raw eggs. The RCM will continue to support this position. "We await the conclusion of the FSA's consultation and would call for the analysis of the consultation to be done swiftly, to provide clarity and clear guidance for women and other groups about this issue." 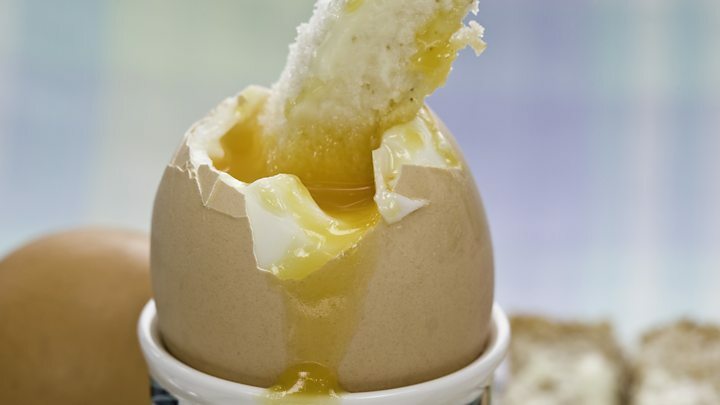 Why are we more scared of raw egg than reheated rice? Who, what, why: Is it safe to drink cocktails with raw egg?